Useful Links | Ashburton's Premier Property Team. Pair up with us, we'll knock your socks off! Ashburton Open Homes - Click here to view all of Harcourts Ashburtons Open Homes for the coming weekend. If the times don't suit, please make contact with any one of our Sales Consultants. Office phone 03 308-6497 anytime. Ashburton Rental Properties - Click here to view our available rental properties. Please make contact with our Rental Department for more details on 03 308-6497 during office hours. Dave Thomson's Personal Website - Click here and go straight to Dave's personal website to view his listings and to make contact directly with him. Dave's mobile is 027-6011-426. Follow Us on Facebook!! - Click here to log-on to the Harcourts Ashburton Facebook page. Real Estate Agents Authority - Click here to visit the REA website to download approved guides or to view information regarding making a complaint. New Zealand Real Estate Institute - New Zealand property information and links. 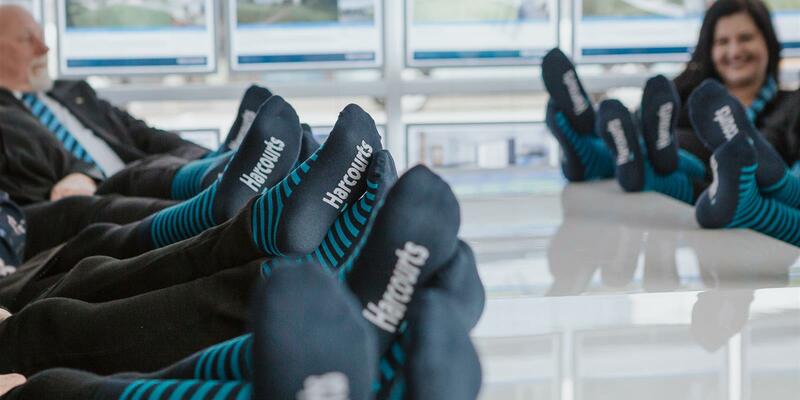 Harcourts.co.nz - Residential, Commercial, Rural and Lifestyle property from around New Zealand and the world. Luxury Portfolio - Harcourts exclusive membership to the exquisite gallery of $1 million plus homes around New Zealand and the world. The Harcourts Foundation - We are proud supporters of The Harcourts Foundation, a charitable foundation set up "To provide support that helps, grows and enriches our communities".